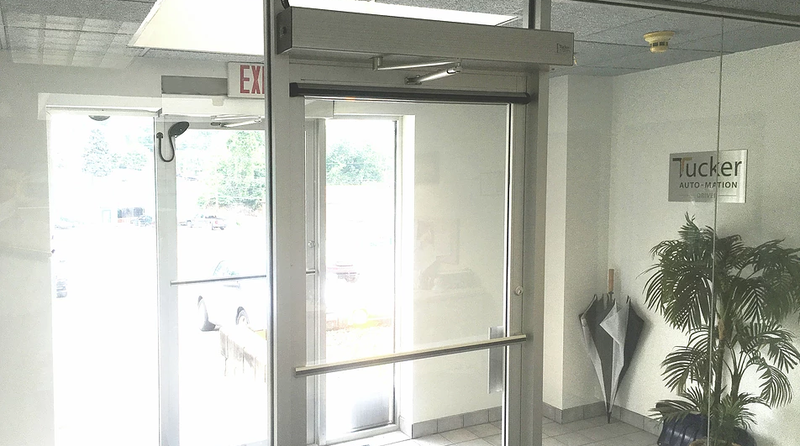 Tucker Auto-Mation Swing Door Operators are state-of-the-art micro-processed controllers with electro-mechanical drives. 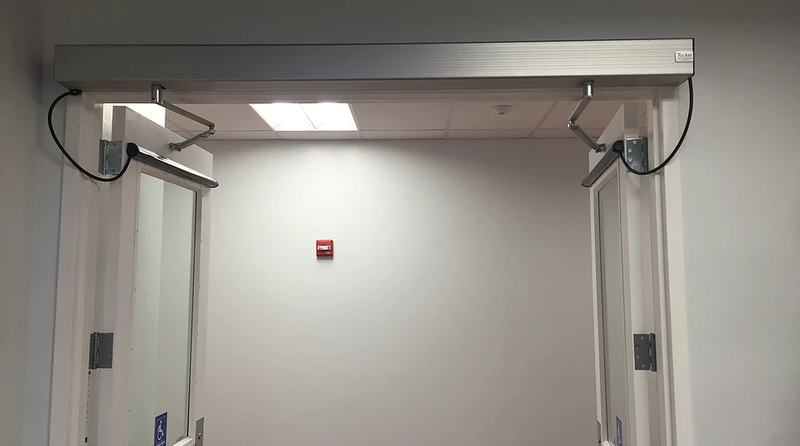 We offer both Low Energy and Full Energy doors with optional presence sensor. 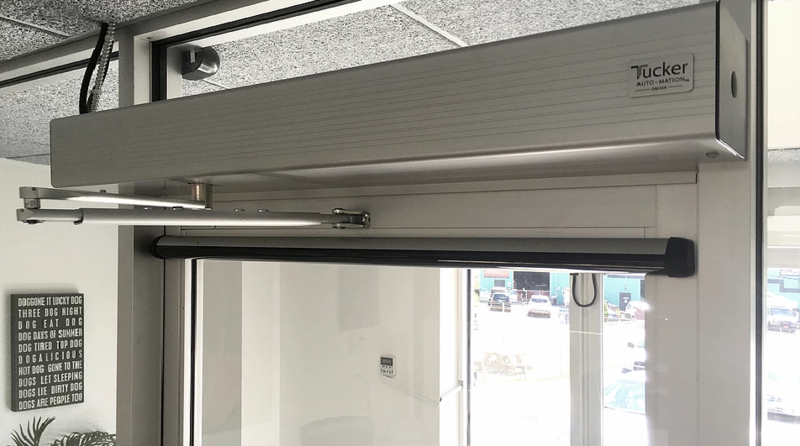 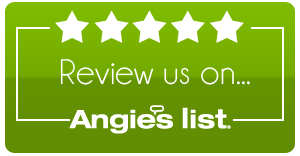 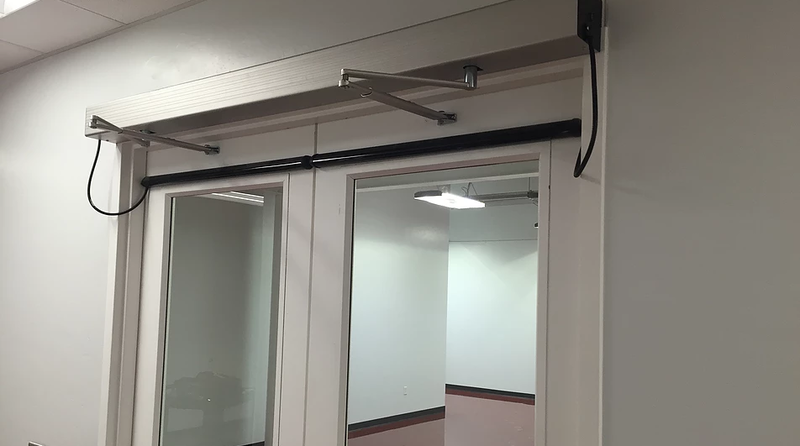 We are happy to say that we have a certified technician from Tucker Automation on staff to perform inspections on all of our swinging door installations and repairs.